For all the perfection and purity they radiate, the symbols of your love—those precious engagement and wedding rings you wear with honor and pride—are also vulnerable to the wear and tear of daily life. Along with exposure to the natural oils in your skin, your precious rings are assaulted with so much hand washing, soaps and lotions, and elements in the atmosphere that can have a tarnishing, dulling, or clouding effect on even the finest gems and metals. They deserve better! It doesn’t take much effort to keep your fine jewelry in tip-top condition and keep those sun-beams radiating from the precious gems that reflect the best in you. Commit to a regular cleaning of your jewelry, at home with simple household products, and you will preserve for a lifetime the beauty and radiance of your most precious pieces. Learn more about our DIY tips with our 5-minute jewelry care cheat sheet. Read on for some helpful home recipes for cleaning your jewelry, from our friends at Popsugar.com. Please note: the following methods work best for gold, palladium, and platinum jewelry, and on most synthetic and natural gems. However, DO NOT use these methods for any porous or delicate stones such as pearls, opals, emeralds, and tanzanites. To clean porous or delicate stones, see the instructions at the end of this post. Fizzy Bath method: First, line the inside of a small bowl with aluminum foil. Then, put a tablespoon each of the salt and baking soda into the foil. Add a squirt of liquid dish detergent, then pour in a cup of hot water. The reaction of the foil with the baking soda, salt, and water creates a fizzy cauldron. Place your jewelry into the bubbling brew and soak for about 15 minutes. Then, remove each piece and give it a gentle scrubbing with the soft-bristled toothbrush (NOTE: Always use soft bristles — never medium or hard! — to clean your jewelry). Swish-rinse it in a glass of cool water and pat dry with a lint-free cloth. (If it’s not lint-free you’ll risk getting threads caught in your setting!) This method is also good for cleaning silver jewelry. 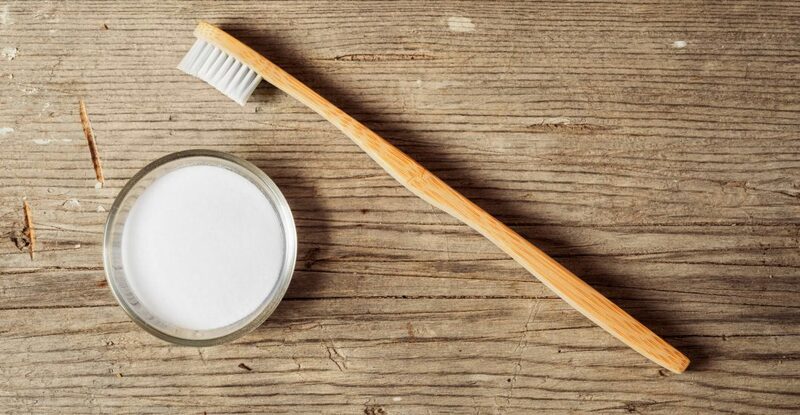 Baking Soda Paste method: In a bowl, add a teaspoon of water to a few tablespoons of baking soda and stir to make a thick paste. Apply the paste to the entire ring with an old, soft-bristled toothbrush and gently scrub. Rinse off the paste and pat dry with a lint-free cloth. Liquid Dish Detergent method: Make a gentle solution of warm water and a few squirts of dish detergent. Soak your ring in the solution for 10 minutes. Remove and gently scrub with a soft toothbrush. Rinse and pat dry with a lint-free cloth. Straight Ammonia method: Mix in a bowl three parts water with one-part straight ammonia. Place your ring in the solution for 3-5 minutes. Remove and dry with a lint-free cloth. To Clean Porous or Delicate Stones: Place the item in a small bowl of warm water with about 5 drops of mild liquid detergent. Let the item sit in the bowl for about 5 minutes. Take out the item and gently wipe the item with a lint free or any extra soft cloth and let it air dry. DO NOT use a brush or anything harsh against these gems. It will scratch the surface and damage the stones. Do this about every one to three months to prevent build up if you wear the item on a daily basis. We recommend that you employ any one of these methods that works best for you and clean your jewelry once a week to keep your precious gems brilliant and sparkling. Because the symbols of your love deserve tender loving care!